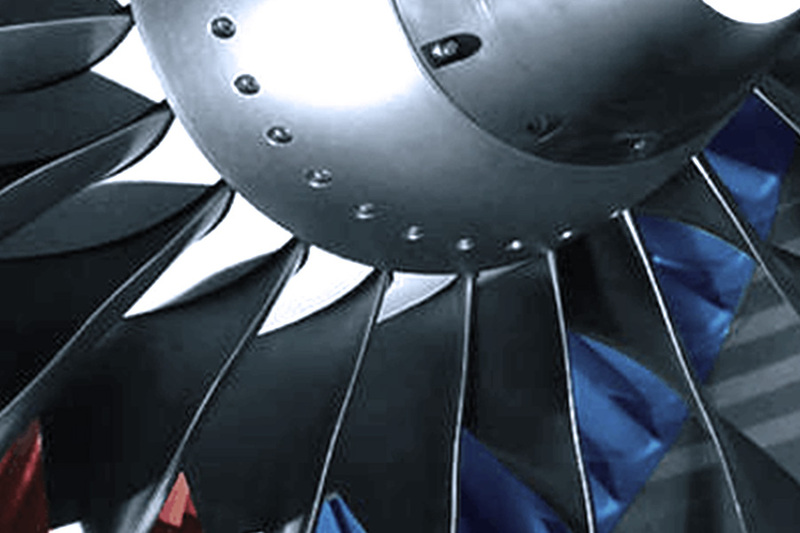 RiTeR Induction also supplies many well-known manufacturers and maintenance companies within the aviation and aerospace industry. The quality of the high grade components in the aviation and aerospace industry are precisely heated by our induction systems in a consistent and controlled manner. Perfect installation every time. 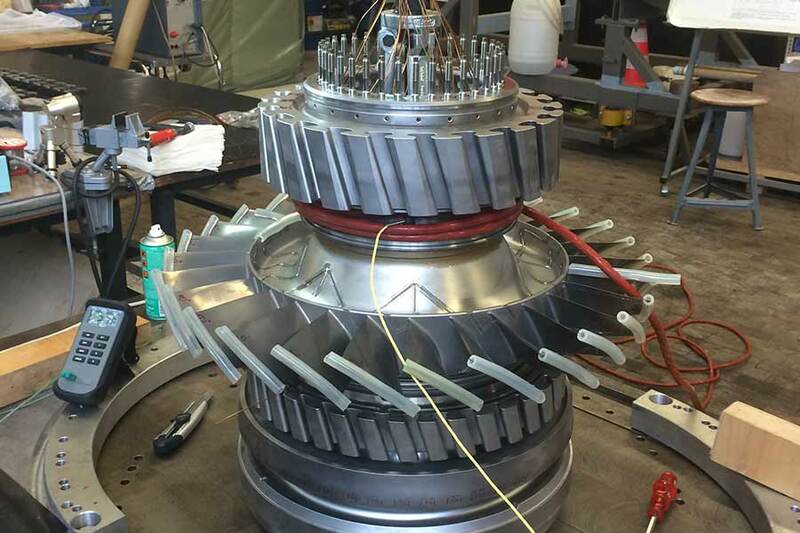 Our applications and technologies are increasingly being adoped by other turbine manufacturers and maintenance companies related to the aviation and turbine industries. The components are heated and fitted using a custom made induction coil. 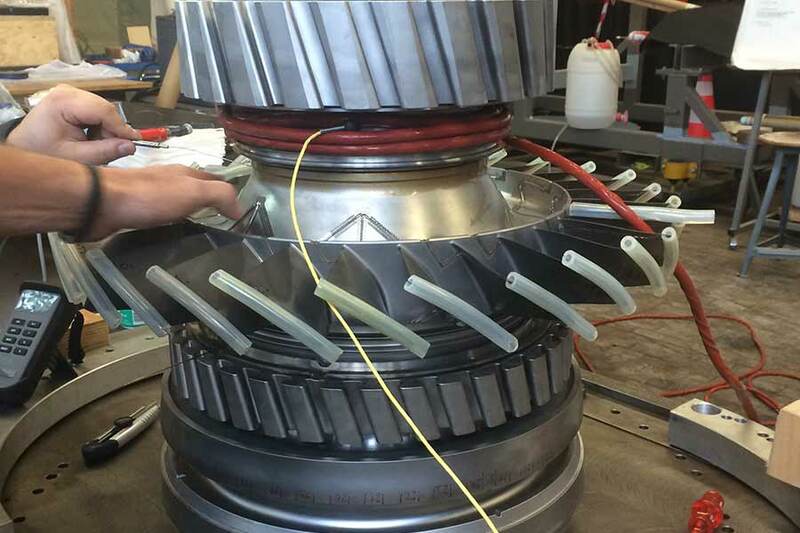 Dismantling a rotor shaft with a flexible induction discharge in just 2 minutes!